The PF Series Push-Fit Terminals provide practical mounting with screwdriver-free installation on solid wires or ferruled stranded cable. 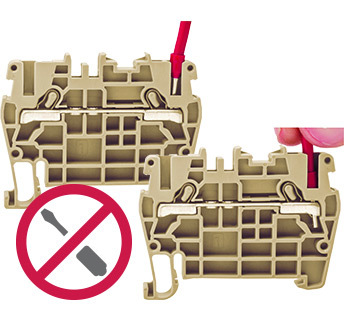 Tool-free wiring and multiple accessories (including end plates and cross-connections) make the installation process up to 70% faster than standard screw terminals. 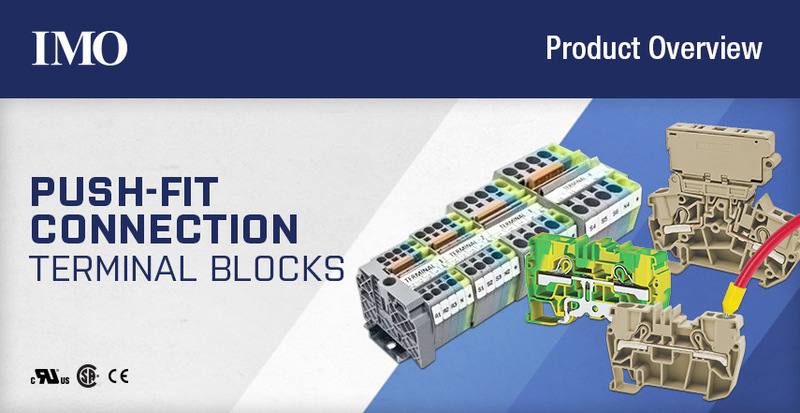 The PF Series offers a wide range of terminals including double decker, multi-level, sensor, fuse & disconnect, multi-input and multi-output. Applicable cables can be inserted as easily as pushing them into the terminal. 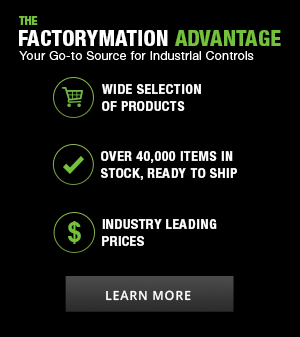 The patented spring design provides fast, safe, and easy connections in high-vibration environments without the need for tightening checks. 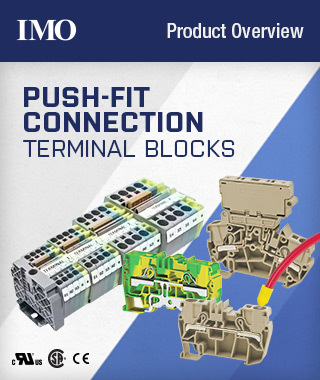 PF Series feed-through Ground Terminals feature simple clip-on DIN rail mounting capability. 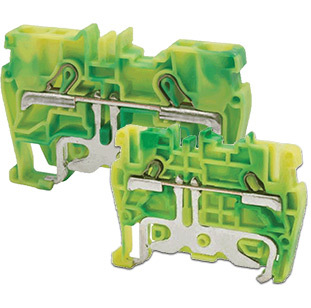 Yellow and green insulation coloring ensures easy distinction from other terminals. Insert wire into terminal’s self-guiding wire aperture. Continue to apply force in order to overcome spring pressure and ensure wire is fully inserted. Insert screwdriver as shown to open clamp spring. Fully insert wire into terminal’s self-guiding wire aperture as shown. Insert screwdriver into slot adjacent to wire. Apply downward pressure to open clamp spring and remove wire. Some sideways movement may be necessary to completely remove the wire.